Give your Valentine the gift of a sugar rush, even if your Valentine is yourself. 1. A two-pack of conversation hearts — a Valentine's Day classic. 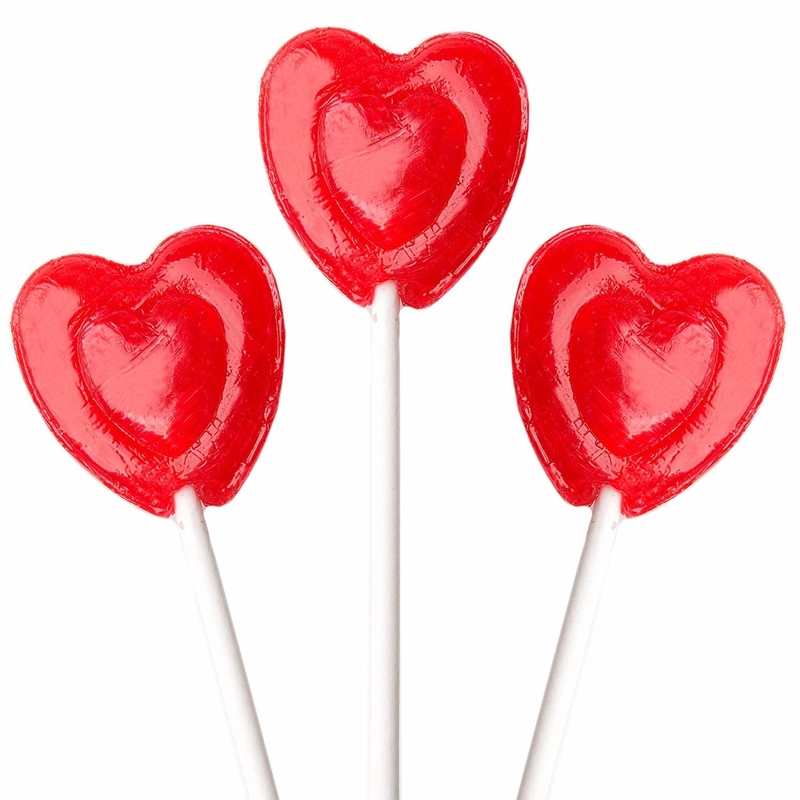 In fact, it's a law you can't possibly celebrate the day of love without these. You may have heard that Necco went out of business, and the new company they sold their conversation hearts to hasn't had enough time to make them for V-Day this year. Not to fret though, luckily Brach's has more than plenty of the most popular day of love candy to go around! Get it from Walmart for $4.85. 2. 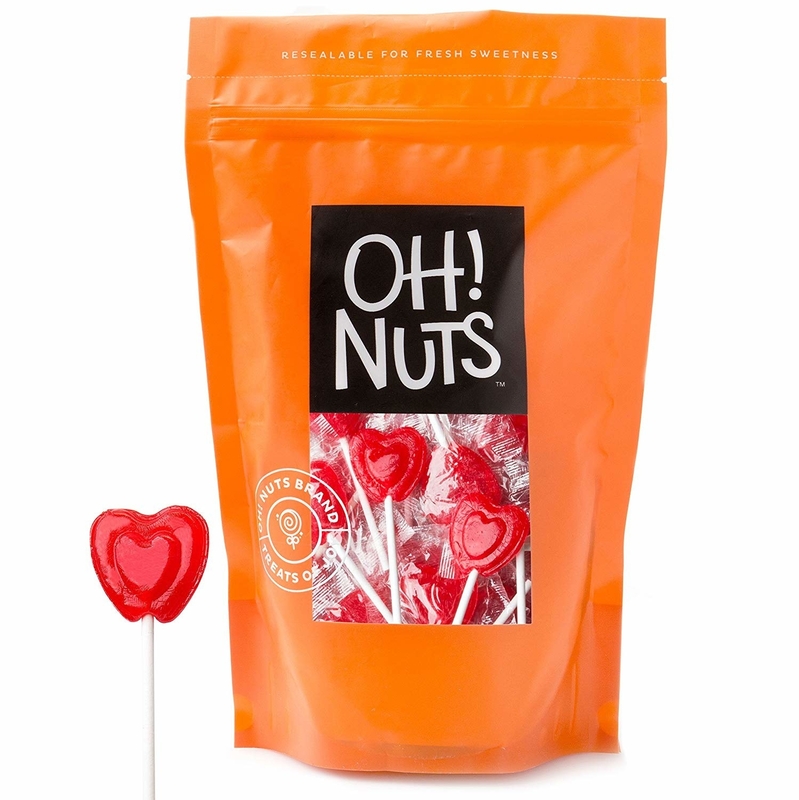 A bag of organic sea salt dark chocolate truffles to treat their, or your, taste buds with a perfect combo of bittersweet and salty — let me remind you they are ORGANIC. Get it from Jet for $7.96 (originally $9.49). 3. A bag of heart-shaped cherry lollipops that you can distribute out to your friends and loved ones, or let's be real, keep the entire bag to yourself and treat yourself daily — it's what you DESERVE. Get a pack of 27 from Amazon for $11.96. 4. A chocolate bouquet perfect for those who prefer traditional candy bars versus assorted truffles, but like, how do you possibly gift it to them while making it look pretty? This. This is how. Medium size comes with four large chocolate bars and 12 fun-size assorted candies, and the large size comes with seven large chocolate bars and 23 fun-size assorted candies. Get it from Jet for $61.01+ (available in two sizes). Pst – these also are available in just Kit-Kat for $61.01+ (available in two sizes, medium – four large bars and 12 fun-size bars, large – six large bars and 23 fun-size bars), just Reese's for $61.01+ (available in two sizes, medium – four double packs and 10 single packs, large – available in 12 double packs and 12 single packs), and just Pay Day for $74.01 (large – 10 large bars and 23 fun-size bars). 5. A gourmet treat basket filled with an assortment of caramel hearts, Jelly Belly Valentine candy, Ghirardelli chocolates, and some special snacks like chocolate-covered pretzels and dark chocolate drizzled caramel corn, hopefully your Valentine is willing to share this with you, hehe. Get it from FTD for $40+ (available in two sizes). 6. A 50-pack of Dum-Dums complete with two teacher cards and 30 bouquet wraps to get if the kiddos are allowed to bring treats into school — these are free of major allergens, so everyone can have some peace of mind! 7. 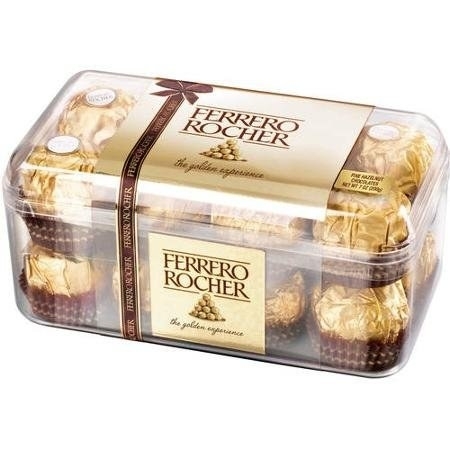 A 12-piece Ferrero Rocher gift box that'll make any chocolate hazelnut fanatic super excited, because these are just too dang delicious. Get it from Amazon for $7.80/12-pack, or $9.99/16-pack. 8. A pack of cherry jelly slices for those whose palate isn't a fan of chocolate for some weird reason none of us can understand. Get a two-pound bag from Walmart for $12.95 (originally $17.94). 9. An 18-piece milk chocolate truffle tin they may think they have the willpower to eat over an 18-day span, but let's be honest, they're gonna finish these in under 18 minutes, at most. 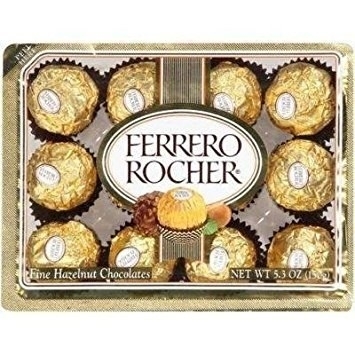 Get it from Amazon for $11.86 (available in milk and dark chocolate). 10. A bag of Ghirardelli dark chocolate, raspberry-filled squares that'll perfectly balance rich chocolate and tart raspberry and will truly be a party in anyone's mouth. Get it from Walmart for $3.78. 11. 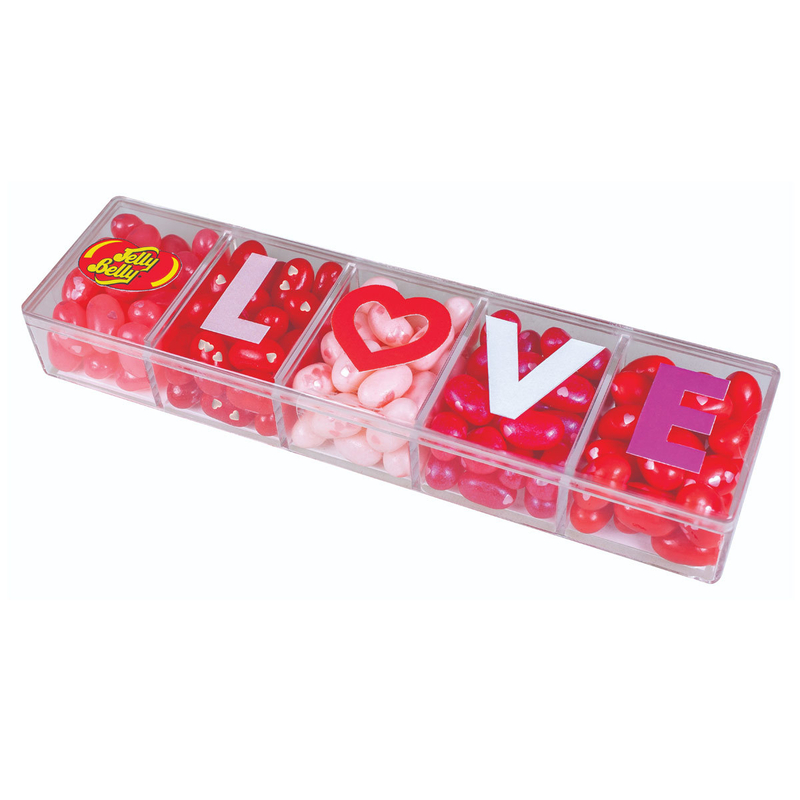 An assortment of jelly beans packaged in a super pretty clear "LOVE" gift box so not only are you giving a yummy gift, but a cute one, too! Flavors include cinnamon, coconut, cotton candy, jewel very cherry, and red apple. Get it from Jelly Belly for $6.99. 12. A two-pack of assorted Reese's Peanut Butter Cups and Kit-Kats along with cards to give out to your friends or co-workers to show 'em a lil' extra love this year. 13. A bar of Beauty Bar Chocolate for getting the superfood-fanatic in your life — this bar is said to help calm energy, enhance focus, and help skin. This bar is infused with Rhodiola which is used to help relieve stress and fatigue, pearl which is used to help boost collagen for healthier hair, skin, and nails, and raw cacao to help increase your mood — it's sugar-free, dairy-free, paleo-friendly, AIP, gluten-free, and candida-, sibo-, and keto-friendly! Get it from Free People for $12. Get it from Walmart for $20.99 (originally $34.95). 15. Candy Club gives anyone with a major sweet tooth a magical box to open each month with delicious candies. 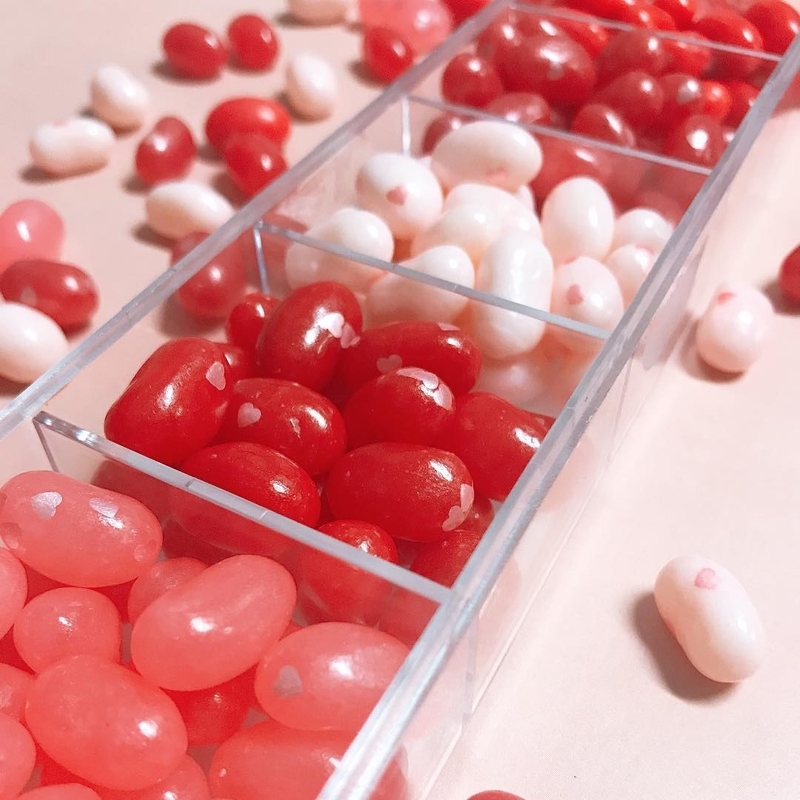 Whether they prefer something more sweet, or if sour is their vibe instead, there is bound to be a candy in their box that will become an instant favorite. Get it from Candy Club: the fun box (six 6 oz. candy cups) for $29.99/month+shipping (six months), $49.99/month+shipping (three months), and $99.99/month+shipping (one month), or the party box (six 13 oz. candy cups) for $49.99/month+shipping (six months), $59.99/month+shipping (three months), and $129.99/month+shipping (one month). And for a limited time, you can get 50% off your first subscription! 16. A 64-piece assortment of white chocolate candy so you can give those who prefer white chocolate to milk or dark, what might be the best food give they ever receive... EVER. Includes white chocolate Reese's peanut butter cups, Hershey's cookies and creme bars, and white chocolate Kit-Kats. Get it from Walmart for $8.98 (originally $9.98). 17. A 24-pack of Fun Dip with card pouches for a V-day treat as yummy as it as, well fun, hence the name, ya know? Get it from Walmart for $3.99/one-pack, or $7.74/two-pack. 18. A nine-piece cupcake-inspired chocolate assortment to give them candy so beautiful, they're gonna wanna take a few quick photos before eating. Assortment includes dark chocolate mousse cupcake chocolate, white strawberry cupcake chocolates, milk coffee & caramel, and dark matcha tea. Get it from Godiva for $29.95. 19. A 36-pack of Reese's hearts that'll make your heart extra happy, ya know, because Reese's alone are enough to make any heart happy, but turn them into the shape of love and bam, heart = EXPLODED. Get it from Amazon for $25.16. 20. A 153-piece bag of assorted Dove Promises chocolates to treat them to some of the best chocolate, and making sure they have a good lil' assortment to switch between — milk chocolate, dark chocolate, and milk chocolate and caramel. 21. A 32-piece box of chocolate mocha truffles that'll mix two of the best flavors to ever exist, TBH. Chocolate and coffee lovers unite. Get it from Dean & DeLuca for $45. 22. A bag of red raspberry hearts, aka raspberry jells coated with crunchy candy seeds, I can personally tell you are ADDICTING. They're a little crunch, a little chewy, and super yummy. Choose from candies like "Cheers To Us" Champagne Bears, Dark Chocolate Sea Salt Caramels, Milk Chocolate Marshmallow Eggs, Heavenly Sours, and so many more! Get it from Sugarfina for $65.